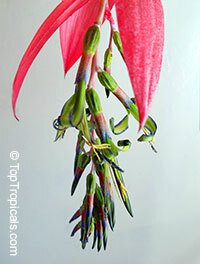 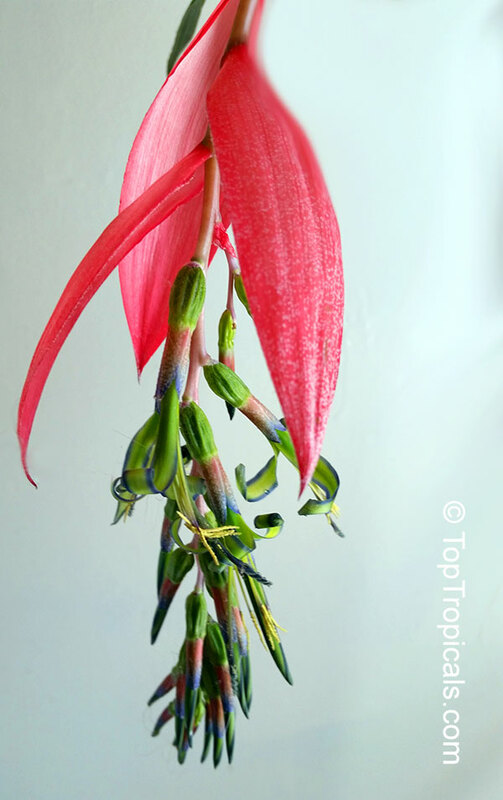 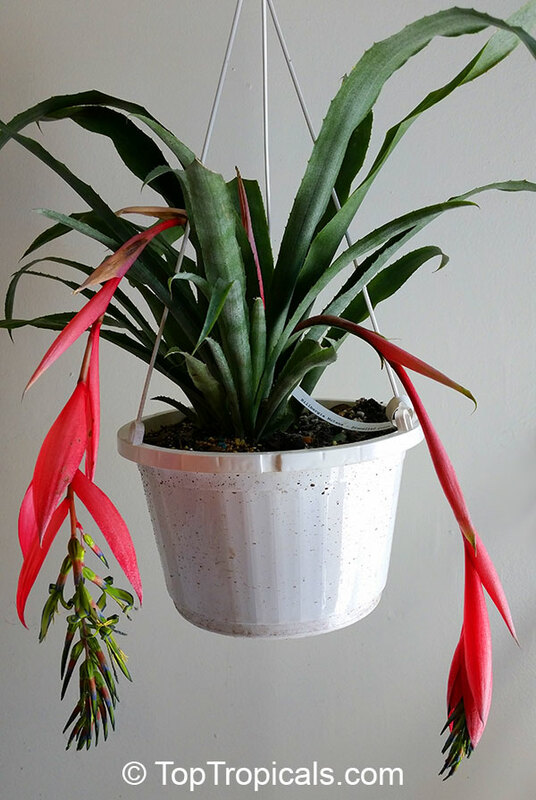 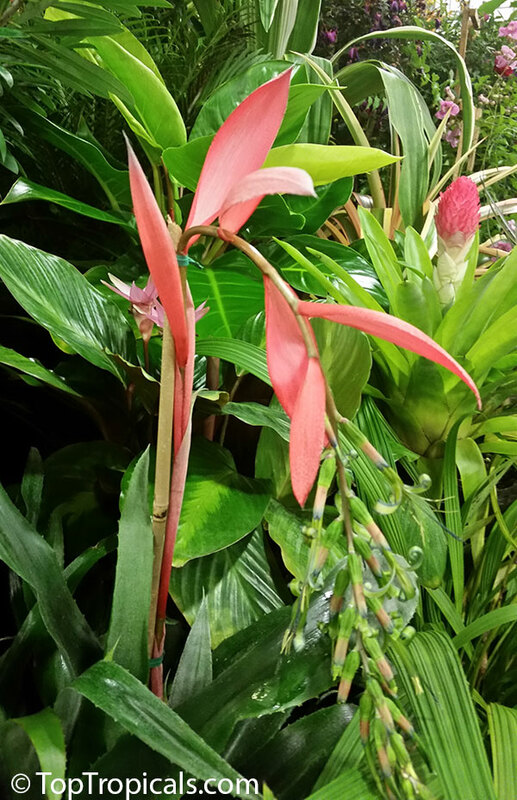 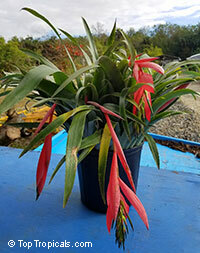 Billbergia nutans - this Bromeliad is one of the easiest to grow indoors, and one of the most striking. 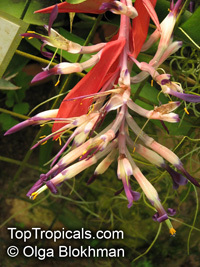 Its thick, strap-like leaves grow into an upright rosette, creating an urn that must be filled with water at all times. As the plant matures, the leaves arch outward, lending a graceful appearance. The foliage can reach up to 15 inches tall and about twice as wide, so give this plant some room to spread out. 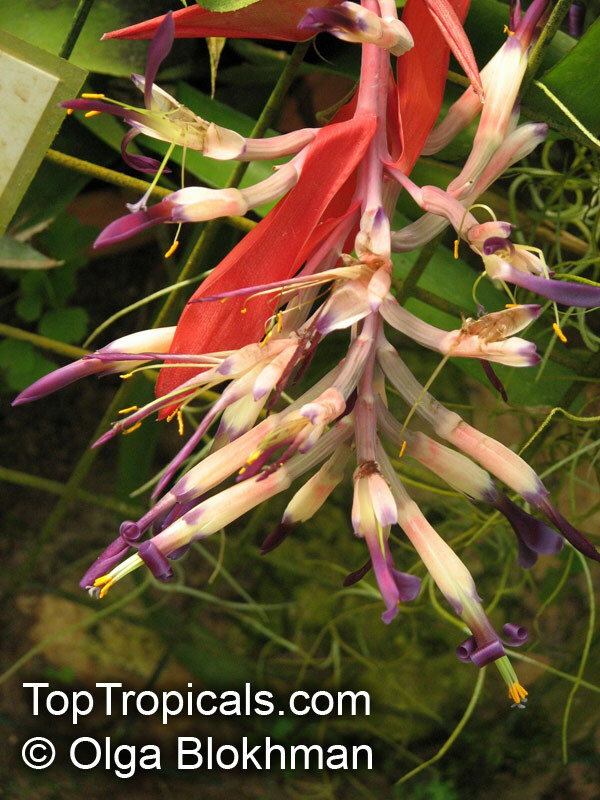 The flowers are pink, purple, yellow or green and are surrounded by red or pink bracts. Billbergia nutans gets one of its common names, Queen's Tears, from the drops of nectar that "weep" from the flowers when the plant is moved or touched. Because it readily produces offsets that can be shared with friends, it is also commonly known as Friendship Plant. 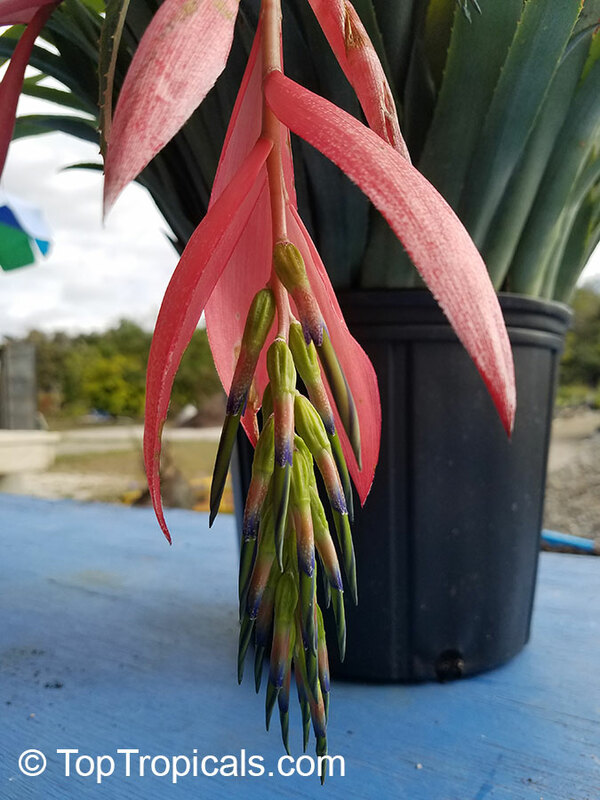 Close related species - Billbergia windii.